We have a great collection of Washington DC related mugs and cups. From political candidates to the beautiful Cherry Blossoms, let the charm of a Washington DC cup hold your coffee tomorrow morning, or give to a friend! Stand out with the Hot Pink Official National Cherry Blossom Festival bistro coffee mug. This is the Official National Cherry Blossom Festival Ceramic Mug designed by pop artist Maggie O'Neill. This patriotic coffee mug has the image of the seal of POTUS enameled on it. This fun Democrat Party drink tumbler is ideal for everyday use and makes a wonderful gift. Take your drink to-go with our 16 ounce Double Wall Republican Party Tumbler. 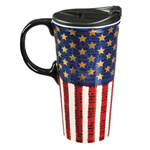 The Air Force One travel coffee mug makes a great addition to your morning routine while showing off your patriotism. This Washington DC souvenir both keeps your coffee warm and shows off your American pride. 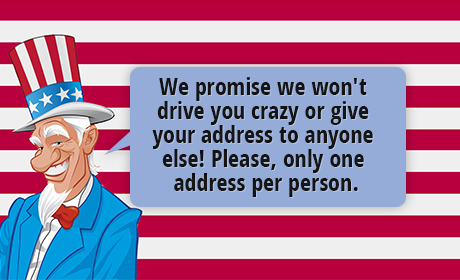 Support Hillary Clinton for President with her 2016 coffee mug. This durable ceramic coffee cup with easy grip handle makes a great gift. Enjoy your cup of coffee in the Official Cherry Blossom Festival Latte Mug. This modern design will be a favorite keepsake for years to come. Blue Air Force One Travel Mug: Blue Air Force One Travel Mug features the Seal of the President of the United States adorned with eagle wings on each side. Above the seal are the worlds "Air Force One" in bold lettering white below the seal are the words, "Presidential Crew � Washington D.C." This makes a great gift. The National Cherry Blossom festival coffee mugs have the new logo printed on both sides featuring a white and pink Yoshino cherry blossom in bloom and are a fantastic addition to your morning coffee ritual.